Visit EMAG at Gear Expo 2017 in Booth 1107! At Gear Expo 2017, October 24-26 at Greater Columbus Convention Center in Columbus, OH EMAG USA will feature manufacturing systems for precision metal components with a special focus on its efficient and diverse solutions for gear manufacturing. The technologies in the EMAG Group cover the entire spectrum of metalworking - including non-traditional processes. 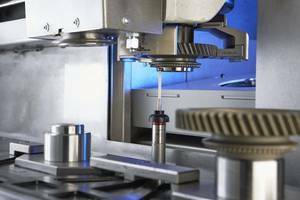 Laser welding is essential in the light weighting of automotive components while electro-chemical machining (ECM) is a broaching and deburring option. For more information on ECM Broaching, EMAG ECM experts will be giving a presentation on the topic in the Solutions Center at the show. In addition to the VL 4, EMAG will have an eldec induction hardening system with a modular induction (MIND) machine at the show. Featuring Simultaneous Dual Frequency (SDF) technology where two different frequencies are applied to the workpiece, MIND machines can apply mid-frequencies to penetrate deeper and heat the root of the gear tooth simultaneous to high frequencies to accurately heat the tip of the tooth. eldec hardening systems compliment the workpieces machined by EMAG lathes to create efficient, complete production lines. The flexible machine concepts and complete systems from EMAG offer modular and customized solutions for the production of workpieces in nearly every industry. We look forward to welcoming you to booth 1107! The EMAG Group covers the entire spectrum of machining processes in the metalworking industry. Whether chucked components or shafts, the companies under the EMAG umbrella offer the latest technological advances in order to optimize a manufacturing solution that satisfies every customer's requirement. 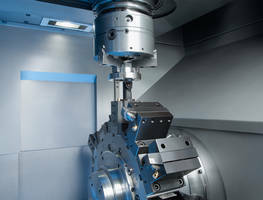 EMAG is a trendsetter in the field of vertical turning and multi-functional production machines with a variety of technology centers allowing EMAG to be an important partner in the realization of manufacturing solutions for the production of transmission, engine and chassis workpieces, as well as for the OCTG components and coupling threads of the oil field industry and exotic materials used in the aerospace industry. 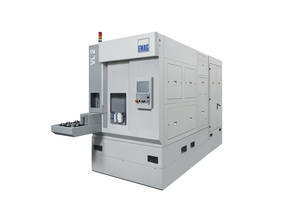 The leader in inverted vertical pick-up lathes, EMAG has integrated its pick-up principle into a wide array of technology-specific machines offering world-class manufacturing with a minimal footprint, short chip-to-chip times and top quality. Our focus is on complete processes that allow the customer to machine everything in a single set-up. The German based company is an important partner in the realization of complete manufacturing lines world-wide with offices around the globe. Their US representation is located in Metro-Detroit. Visit EMAG at South-Tec 2017 in Booth 1629! Visit EMAG at Westec 2017 Booth 2025! EMAG at CMTS 2017, Booth 2418!